You are here: Home / Blog / Asset Protection / 4 Key Rule Changes Affecting Retirement Accounts You Need to Know. 4 Key Rule Changes Affecting Retirement Accounts You Need to Know. 1. As of January 1, 2015, IRA owners are limited to one rollover per year. Under this new IRS rule, an IRA owner can take a distribution from an IRA and roll it over into another IRA account only once per 12 month period, regardless of how many IRA accounts he may own. This rule aggregates traditional IRAs and Roth IRAs together, so one cannot perform a rollover between traditional IRAs and then perform a rollover between Roth IRAs within the same 12 month period. This is a significant change to the way the IRS has treated multiple rollovers generated by a 2014 United States Tax Court decision. Violate this rule and the second rollover will be treated as a taxable distribution, which will result in the imposition of income taxes (and the dreaded 10% early withdrawal penalty if the account owner is younger than age 59½). Excepted from this new rule are direct trustee-to-trustee transfers, rollovers from employer sponsored qualified plans [such as 401(k), 403(b), etc. ], and Roth conversions. 2. Inherited IRAs are not protected in bankruptcy. In 2014 the United States Supreme Court ruled that funds in an inherited IRA are not protected in bankruptcy from the claims of the IRA beneficiary’s creditors unless a state law provides a specific exemption (currently only a few states provide this type of exemption, and Michigan isn’t one of them). 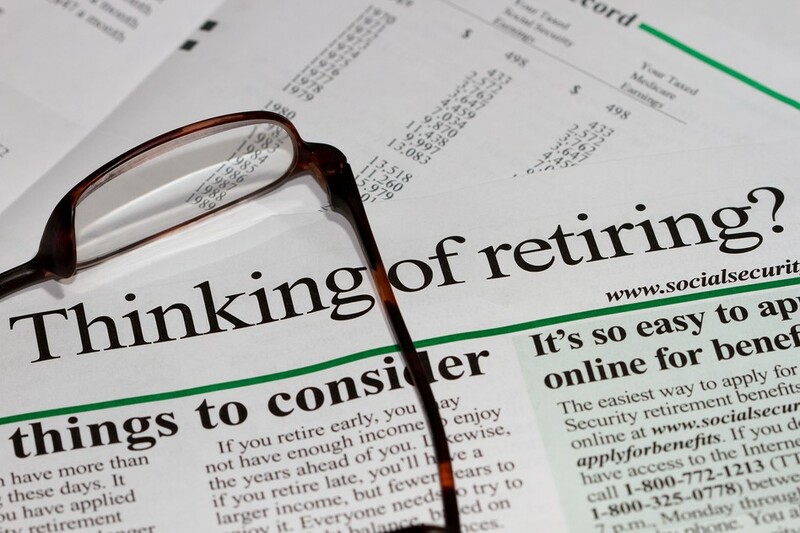 Individuals with larger IRA or qualified plan account balances may need to rethink their retirement account beneficiary designations in light of this ruling. In circumstances where a child or other beneficiary may have financial trouble, it may be prudent to make other arrangements to enhance creditor protection for inherited account balances. 3. QLACs get the go-ahead. What is a “QLAC?” It is a qualified longevity annuity contract, which can enhance income security for those who may be worried about outliving their money in retirement. These deferred income annuities can be purchased through IRAs and qualified plans (within limits) and the contract values will be exempt from RMD rules until age 85, when distributions from the QLAC must begin. A QLAC will do two things: First, distributions from the account can be delayed until age 85, thus allowing for greater tax deferred growth and guarantying an income stream for life; and second, the value of the annuity will be excluded when calculating required minimum distributions (RMD) from other retirement accounts (and the payments from the QLAC are assumed to satisfy its RMD obligation). To be eligible, a QLAC must meet the following criteria: i) Investment in the contract is limited to the lesser of 25% of all pre-tax retirement account balances aggregated together, or $125,000 (indexed for inflation); ii) The QLAC must begin its pay outs no later than age 85; iii) The QLAC must be irrevocable and illiquid (no cash-surrender value), but it can provide for a return-of-premium death benefit payable to heirs as a lump sum or life-contingent survivor annuity; and iv) it must be a fixed income annuity – variable annuities, indexed annuities, and similar type annuities will not qualify. 4. IRS Notice 2014-54 allows for the tax-free conversion of after-tax funds from a 401(k) account to a Roth IRA. Under this IRS Notice, the IRS confirms that individuals with both pre and after-tax money in an employer sponsored retirement plan can convert the after-tax money to a Roth IRA tax free. However, one may not simply take out the after-tax money for the Roth conversion and leave only pre-tax money behind in the employer plan. If they do, the IRS will apply the traditional pro-rata rules to the distribution. The rules governing IRAs and other retirement accounts are very complex and tricky. Even seemingly simple transactions involving an IRA or other retirement account can result in disastrous tax consequences. And the Internal Revenue Code is extremely unforgiving. Before making any move with any type of retirement account, consult your CPA or other tax adviser, or contact me. I can help. http://www.thomasdelpup.com/wp-content/uploads/2015/01/photodune-5349477-retirement-planning-s.jpg 632 948 Tom DelPup http://www.thomasdelpup.com/wp-content/uploads/2014/08/thomasjdelpup-lg-v3.png Tom DelPup2015-01-19 17:10:272018-11-01 20:57:184 Key Rule Changes Affecting Retirement Accounts You Need to Know. Estate Planning For The Here and Now You Can’t Do That! 5 Prohibited IRA Transactions.